This report covers the two week period from 5/24 until 6/06. The week ending 5/30 saw a very respectable 316 fish making their way into the Supply Ponds – our third highest weekly total of the season. This pushed our seasonal total to over 3,000 river herring going up the fishway. 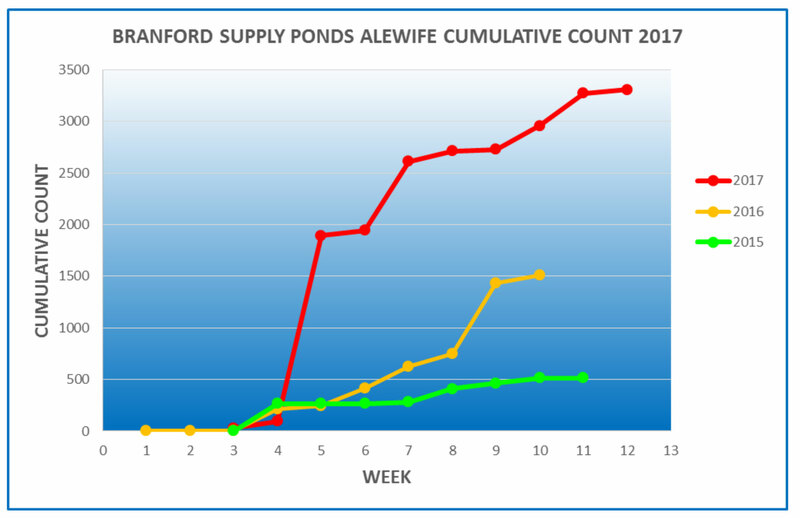 For the week ending 6/6, there were only 35 alewives going into the Supply Ponds. 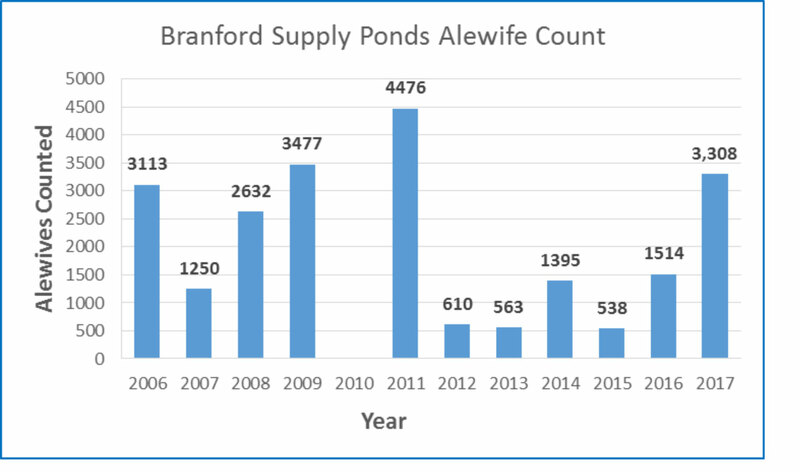 This week also marks the end of the 2017 alewife run, and brings our seasonal total to 3,308 fish – the largest influx of river herring since 2011, and the third largest fish run since 2006. I’d like to thank Steve Gephard and Tim Wildman at the DEEP for their monitoring the fish in Connecticut rivers and streams and compiling and distributing the data for the Branford alewives.